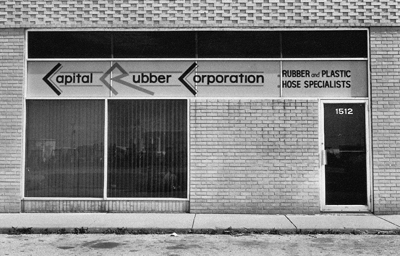 Capital Rubber Corp was founded in 1975 by Rick Feldman and Barbara Feldman after working for several years in the rubber hose industry. With a modest location in Arlington Heights, Illinois, the company was quickly discovered by a following of customers who were seeking quality hose products coupled with fast service. By taking the time to visit client to see applications and challenges, Capital Rubber was able to develop a product line that offered quality, ingenuity, and value added service. With rubber products giving way to innovative new plastic compounds, Capital Rubber Corp soon became a leader in PVC and thermoplastic hose fabrication and distribution. The small start up location in Arlington Heights was moved to larger facilities first in Wood Dale and then Bensenville Illinois to facilitate the growth and the expanded product line. Our current production facility and offices are located at 1140 Tower Lane, Bensenville IL 60106. Our location in the near west suburbs of Chicago offers quick access to trucking and air freight and newly upgraded highways to best serve our client base. In our growth and good fortune, we remain dedicated to our roots in innovation and service. Family owned and operated, we are pleased to be a valued supplier and friend of those companies who have let us earn their trust. We invite you to contact us regarding your unique applications so that together we can build the products and offer the service that your business requires.